The Vivid Lights installation 'Beautiful and Dangerous' takes place on George St in The Rocks every evening during Vivid Sydney (25th May - 16th June). Passers by will encounter infectious yet beautiful viral and bacterial structures - based on X-ray crystallography and electron microscopy, animated by Brownian motion, and magnified to spectacular scale. 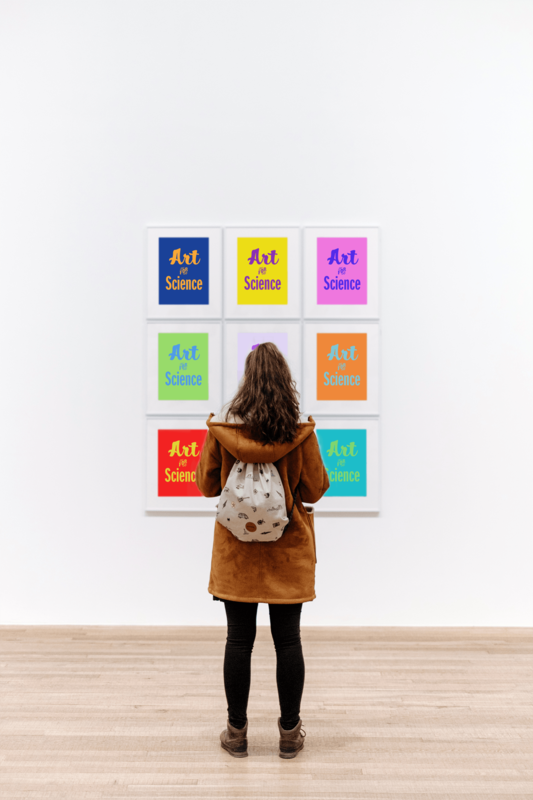 For those curious to learn more, 'VIZBI Showcase: Bridging Science, Art, and Design' is on 1st June (6pm - 9pm) at the Museum of Contemporary Art. This evening event features two renowned international speakers: biomedical animator Janet Iwasa (University of Utah, USA) and data scientist Martin Krzywinski (Genome Sciences Centre, Canada). More information below. In 'Data Visualisation Masterclass', trainers Janet Iwasa, Martin Krzywinski, and Seán O'Donoghue present principles and practices for turning data into insightful visualisations that unleash discoveries and tell compelling stories. Designed for anyone working with data, the Masterclass takes place at the University of Technology Sydney on 31st May (9am - 5pm). 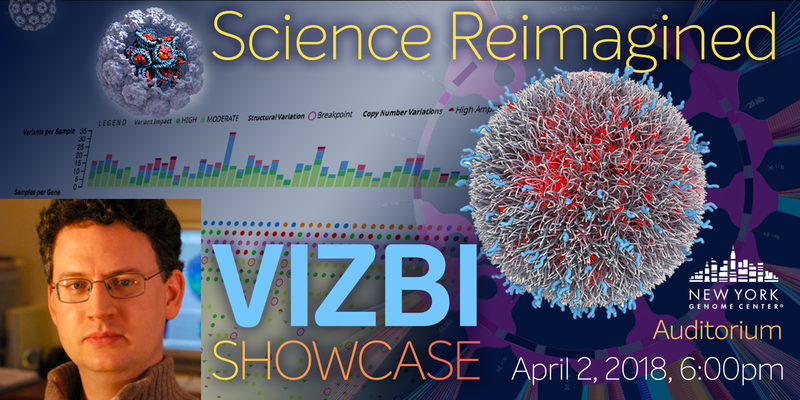 'VIZBI Showcase: Bridging Science, Art, and Design' features presentations from two renowned data scientists and communicators: Janet Iwasa (University of Utah, USA) and Martin Krzywinski (Genome Sciences Centre, Canada). Janet Iwasa is a biomedical animator who will deliver a keynote presentation. Janet's work on molecular and cellular visualizations has appeared in many top scientific journals including Nature, Science, and Cell, as well as in New York Times. She was named one of Fast Company's '100 Most Creative People' in 2012, one of Foreign Policy Magazine's '100 Leading Global Thinkers' in 2014, and is a 2014 TED Fellow and 2017 TED Senior Fellow. She received her PhD in cell biology in 2006 from the University of California, San Francisco. Following a highly successful tenure at Harvard University, she moved to the University of Utah. Martin Krzywinski is a data visualisation scientist whose research focuses on cancer and genome analysis. 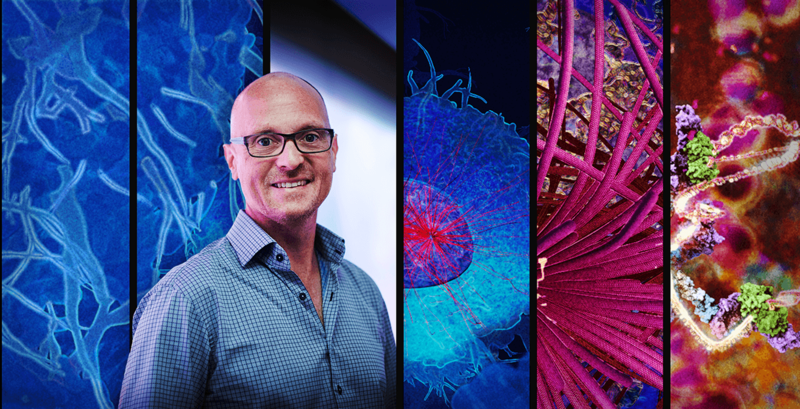 He has invented beautiful and insightful visualisation methods that are widely used in the life sciences and beyond, sparking imagination and enthusiasm. His information graphics have appeared in New York Times, Wired, Conde Nast Portfolio, and American Scientist. He created the Circos graph to display genomic data sets in a way that revealed their inner structure and served as an emblem of the new field. Krzywinski's work has set a new standard for the presentation of scientific results, and has established design as a tool of discovery in the research process itself. Master of Ceremonies for the event will be Prof. Seán O’Donoghue, a data visualisation scientist with conjoint appointments at the Garvan Institute, CSIRO’s Data61, and UNSW. These talks will be followed by short presentations from local artists whose work bridges science and creativity. If you work in the space, we want to hear from you! After registering, you will be sent a link where you are invited to submit an image and a short description of your work; if selected, you could deliver one of these lightnings talks as part of the event. The final date for lightning talk requests is Monday 28th May. 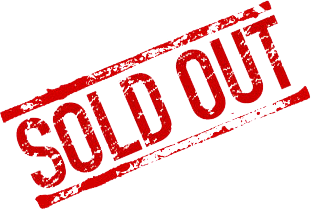 Following the talks, guests will have an opportunity to network over a drink from 8-9pm on the harbourside terrace. The event is organized by the VIZBI lab from the Garvan Institute of Medical Research, and CSIRO's Data61. The focus for this evening is on the power of scientific visualization and interactive multimedia design. Renowned biomedical animator Gaël McGill will talk about 'Biovisualization in Research & Education'. Based in Boston, Gaël leads a team of 3D animators and multimedia artists who create stunning, scientificially accurate visualizations. He co-authored and served as digital director for E.O. Wilson's Life on Earth iPad biology textbook developed in partnership with Apple. Gaël will explore not only how to engage audiences and communicate complex science in education, but also how visualization promotes knowledge synthesis and shapes our mental models during the research process. Hosted by Christian Stolte, Data Visualization Designer at the New York Genome Center, the evening begins with Sean O'Donoghue, who will give a brief introduction to VIZBI-the conference series on biological data visualization that brought together life science's best visualization experts-and tell the story how this event came into being. Celebrate with us the opening evening of the first exhibit of original artwork inspired by a series of cutting-edge scientific discoveries. The showcased artworks are selected submissions from the VizbiPlus Challenge, a competition created to encourage local artists to draw inspiration from science to produce original, novel, engaging and insightful art pieces. During the evening you will have the opportunity to meet the artists and scientists, engage in exciting conversations about their inspirations, with a glass of bubbly in your hand and music in the background. The exhibit will remain open for the entire length of Vivid, so do not miss out on being part. And if you want to find out who the challenge winner, is join us for the award ceremony that is part of the event "VizbiPlus: Bridging science with art, design & animation"
The event is a joint collaboration between the Spunky Bruiser Store and the VIZBI lab from the Garvan Institute of Medical Research and CSIRO's Data61. The evening begins with a keynote address from world-renowned biomedical animator Drew Berry, whose work has been exhibited at leading international museums (e.g., Guggenheim, MOMA, and the Royal Institution of Great Britain) and won many awards (including an Emmy and a BAFTA). 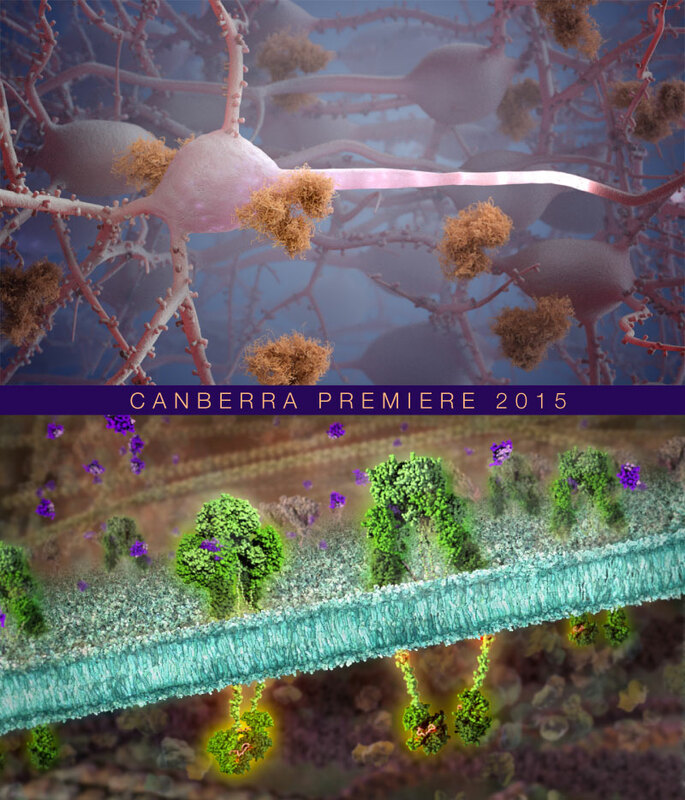 Next, the evening features the Sydney premiere of two biomedical animations from local artists Christopher Hammang and Kate Patterson - followed by finalists in the VizbiPlus Challenge, showcasing new artwork inspired by these animations. Drew Berry is a biologist-animator whose scientifically accurate and aesthetically rich visualisations reveal cellular and molecular processes for a wide range of audiences. Trained as a cell biologist and microscopist Drew brings a rigorous scientific approach to each project, immersing himself in relevant research to ensure current data are represented. Drew received B.Sc. (1993) and M.Sc. (1995) degrees from the University of Melbourne. 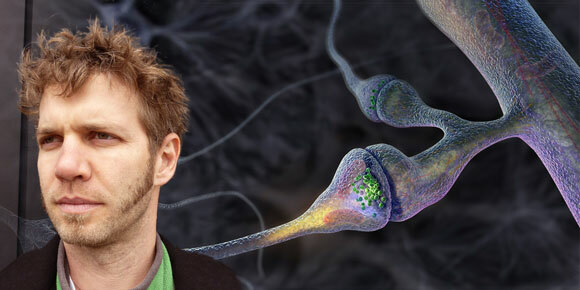 Since 1995, he has been a biomedical animator at the Walter and Eliza Hall Institute of Medical Research. His animations have exhibited at venues such as the Guggenheim Museum, MoMA, the Royal Institute of Great Britain and the University of Geneva. In 2010 he received a MacArthur Fellowship "Genius Award". He collaborated with the musician Björk for the 2011 album Biophilia for which he directed the music video Hollow, which was also used in the Hollow app. In 2015 he created the Illuminarium: a six-storey revolving LED-light installation that comes to life at dusk and in the early morning hours with images and data from the frontier of medical research. Art and Science: A partnership catalyzing discovery in biomedicine. Bang Wong is the creative director of the Broad Institute of MIT and Harvard and an adjunct assistant professor in the Department of Art as Applied to Medicine at the Johns Hopkins University School of Medicine. His work focuses on developing strategies to meet the analytical challenges posed by the unprecedented volume, resolution, and variety of data in biomedical research. He has written extensively about the fundamental aspects of data visualization and is the founding author of the Points of View series of articles published by Nature Methods. Bang received a Masters degree in Immunology and a Masters degree in Medical Illustration both from the Johns Hopkins University School of Medicine. Do you work with large, complex datasets? Do you want to learn how to use principles of human visual perception with modern methods and tools to create insightful visual representations of your data? If the answer is Yes, then come to our second Vivid Ideas event featuring teachers Bang Wong, Seán O’Donoghue and Christopher Hammang. Check out the program here. Today’s high school biology students will be tomorrow’s scientists, explorers, and environmental policy makers. To prepare them for their work, a team led by naturalist E.O. Wilson created the iBook series ‘Life on Earth’. Presented by VizbiPlus, this event brings scientific animator Gaël McGill, who led a team of 3D animators and multimedia artists, to Sydney, to show you how they created the multimedia components of this revolutionary iBook — a digital textbook for the 21st century. 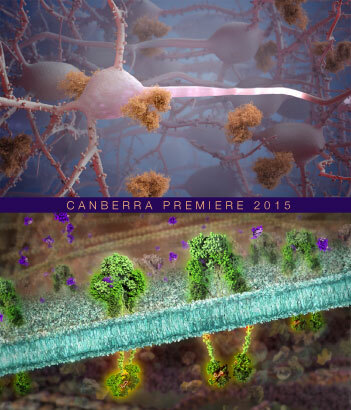 Next in the program is the Sydney premiere of the latest biomedical animations from the Australia-based VizbiPlus project. Then we present the finalists in the VizbiPlus Challenge - mixing artwork inspired by science with science re-imagined as art. Finally, if your own work bridges art and science, we want to hear from you! Submit an image and a short description of your work, and you could give a 30-second flash-talk as part of the event. Driven by a passion for the visualization and communication of science, Gaël co-founded Digizyme while a research fellow at the Dana-Farber Cancer Institute and Harvard Medical School. Gaël is Director of Molecular Visualization at Harvard Medical School where he also teaches scientific visualization. He is the creator of the online portal molecularmovies.org and the Molecular Maya software toolkit. As a technical editor for Wiley/SYBEX Publishing, he has contributed to leading Maya and ZBrush textbooks. He is also the Digital Media Director for E.O. Wilson’s ‘Life on Earth’ next-generation digital biology textbook. This is our third year of involvement in Vivid Ideas, which is part of Vivid Sydney (22 May – 8 June), an 18-day festival of light, music and ideas — the largest of its kind in the Southern Hemisphere. 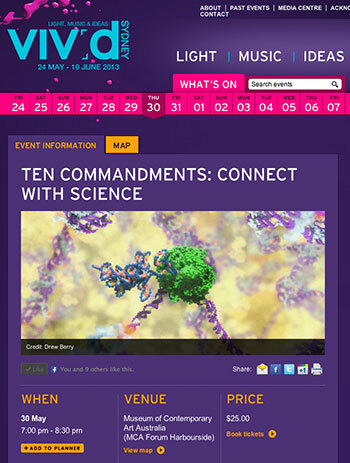 Visit www.vividsydney.com. We are presenting a Vivid Ideas event with Gaël McGill, Tamara Munzner, and others — called Data Visualization Masterclass: principles, tools and storytelling , a unique opportunity to learn new skills for anyone working with data. Check out the program here. Christopher Hammang’s “Alzheimer's Enigma” which explores the neurons of the human brain, and reveals how normal protein breakdown processes become dysfunctional and result in plaque formation during Alzheimer’s disease. 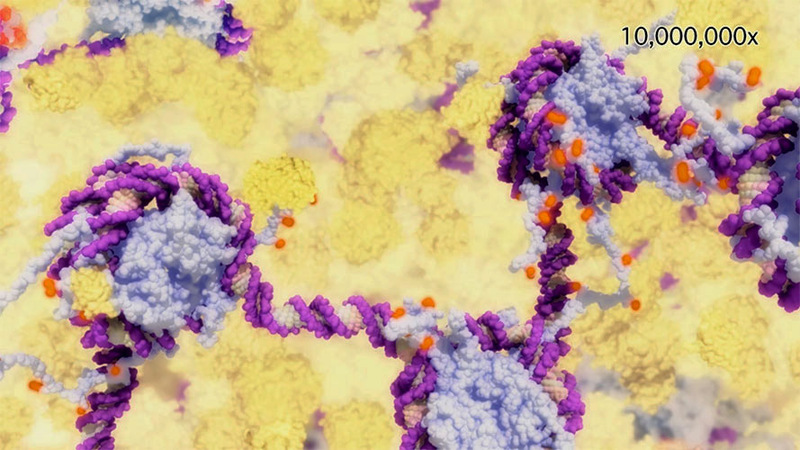 Maja Divjak’s “The Insulin Receptor and Type 2 Diabetes”, a story about diabetes focusing on the insulin receptor structure and what might be happening in insulin resistance, based on pioneering research at the Walter and Eliza Hall Institute. For speaker bios, please see the 2015 VizbiPlus Animation Premiere brochure. 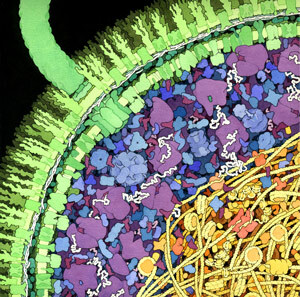 This event - jointly organised with Vivid Ideas explores - how science inspires art — and how art advances science — through the amazing work of David Goodsell (La Jolla, USA), as well as three new biomedical animations his work has inspired. 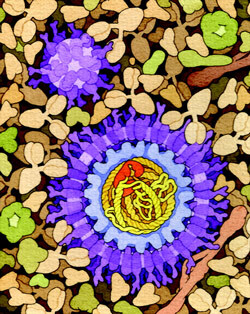 David's world-renowned watercolors of cells and proteins open up scope for imagination and exploration in biomedical research, a theme continued in his research, which focuses on using computer graphics and simulation to understand the molecular machinery involved in living processes. Following David's talk, Emmy winner Drew Berry from Melbourne will show how his animation style has been influenced by David's work, and he will present the Sydney premiere of three new biomedical animations created by three apprentices he has been training. The main event concludes with a presentation of the finalists in the VizbiPlus Challenge, featuring a range of creative work inspired by these three animations. The main event is followed by a mixer at the Vivid Ideas Exchange, located in the adjacent MCA Lounge. If your work bridges science and creativity, there will be an opportunity to introduce and exhibit your work in a 30-second "Lightning Talk" during the mixer. To take advantage of this opportunity, see the call for participation PDF. For the creative professionals, this event provides a unique insight into the role art, animation and creativity plays outside the traditional realms of creative practice, and an opportunity to expand your work into new fields. For scientists, this is a chance to learn from an internationally-recognised master in scientific illustration, and to meet and collaborate with others in the scientific and creative communities. This event is jointly presented by Vivid Ideas and VizbiPlus: Visualising the Future of Biomedicine, a project funded by the federal government's Inspiring Australia initiative, the Garvan Institute of Medical Research, the Walter and Eliza Hall Institute for Medical Research (WEHI), and CSIRO. Whether you're an animator, scientist, or curious beginner with no experience with molecular structures, join this masterclass to learn from one of the world's leading biomedical artists to discover the creative potential that lies within cell walls. David will unpack the processes and challenges of working at a molecular and cellular scale, and explore the tensions between artistic licence and scientific research in the world of molecular visualisation. Through a hands-on exercises, participants will be introduced the Protein Data Bank, identify the hurdles that often stop beginners in the field, and learn to use JSMol tools to customise images to highlight different aspects of the molecular structure/function. Bring your own laptop for advice from David as you search for appropriate structures, then customize images to highlight different aspects of the molecular structure and function. You'll leave with a new appreciation of proteins, and a new set of skills to aid in scientific communication, and artistic experimentation. This will be an hands-on workshop session: bring your own laptop. A fascinating insight for anyone passionate about animation, illustration, or the physical sciences. Limited to 40 participants. David Goodsell is Associate Professor of Molecular Biology in the Department of Integrative Structural and Computational Biology at The Scripps Research Institute, LaJolla, California. 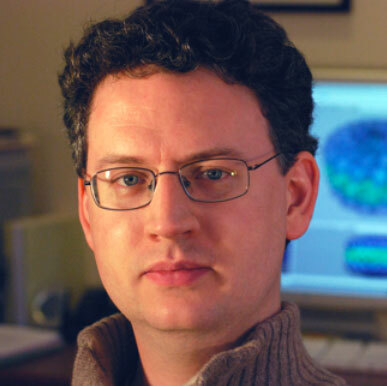 His research focuses on how computer graphics and simulation are used to study structure/function relationships in key biological systems. Current projects include design of compounds to fight drug resistance in HIV, and development of AutoDock, a general computational docking method. 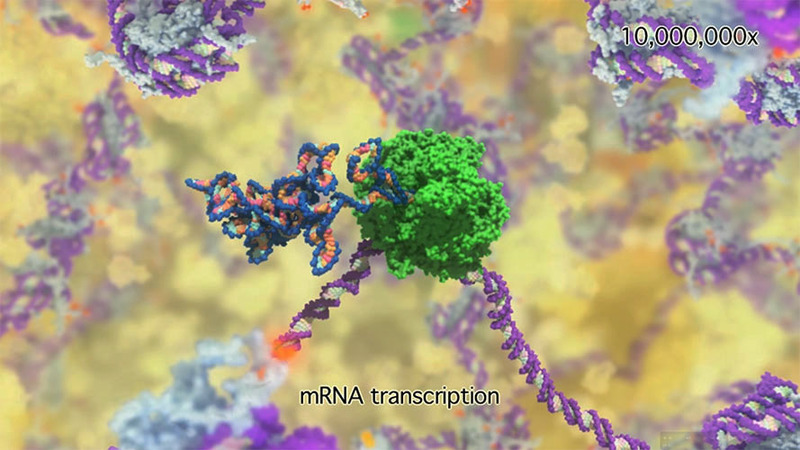 Science outreach is also a strong focus of his lab, with projects such as the "Molecule of the Month," a feature at the RCSB Protein Data Bank that presents the structure and function of a new molecule each month, and several illustrated books on biological molecules, their diverse roles within living cells, and the growing connections between biology and nanotechnology. 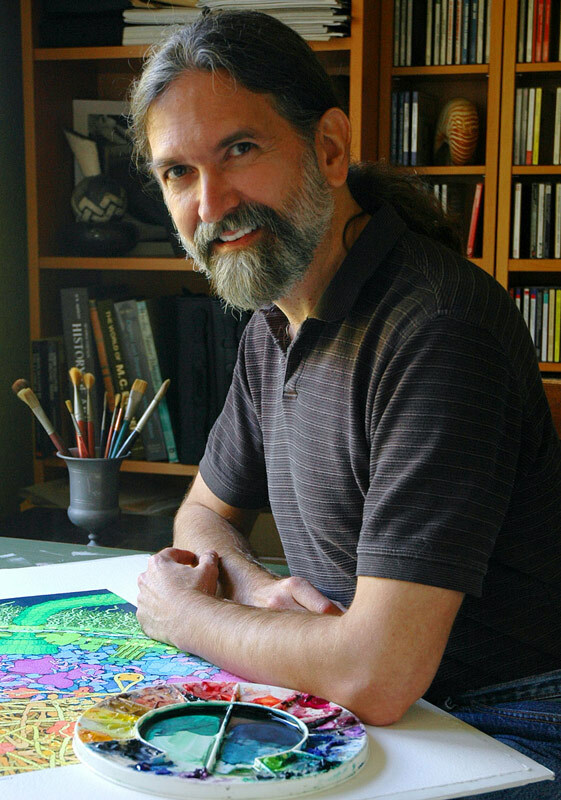 He has won numerous awards for his artwork, including the Science and Engineering Visualization Challenge, and an Art in Crystallography Prize. This event features live presentations from two world-leading biomedical animators and science communicators: Graham Johnson from the UCSF (USA) and Drew Berry—winner of a MacArthur Fellowship, a BAFTA, and an Emmy award—from the Walter and Eliza Hall Institute in Melbourne. Following the talks, you will have a chance to network over a mixer in the adjacent MCA Lounge. There will also be an opportunity for a limited number of participants to briefly introduce their work to the audience. If your work bridges science and creativity or art, and you wish to take advantage of this opportunity, please send a short description of your work (one paragraph and one PNG image) to after you have registered for this event. For details, see the Call for Participation. This event is jointly presented by the VIVID Ideas festival and VIZBI+ Visualising the Future of Biomedicine, a new project funded by the Inspiring Australia government initiative, the Garvan Institute of Medical Research, the Walter and Eliza Hall Institute for Medical Research (WEHI), and CSIRO. 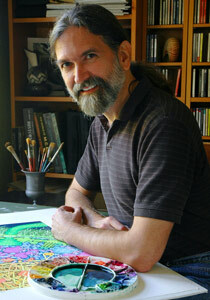 Graham Johnson, PhD is a Certified Medical Illustrator with 15 years of professional experience. He has specialized in molecular and cellular biology since graduating from The Johns Hopkins School of Medicine in 1997. 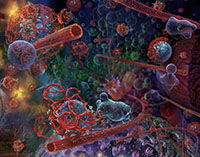 He illustrated both editions of the textbook Cell Biology by Pollard & Earnshaw as a coauthor, and has created thousands of scientific visuals ranging from journal covers to pedagogic animations and game designs. Graham currently lives in San Francisco, CA and works at UCSF as a qb3@UCSF Faculty Fellow. His PhD work in the Molecular Graphics Lab at Scripps focused primarily on developing algorithms to enable scientists and illustrators to generate, simulate, and visualize molecular models of cells. He continues to work with programmers to develop software that can interoperate the computational tools of science and art. 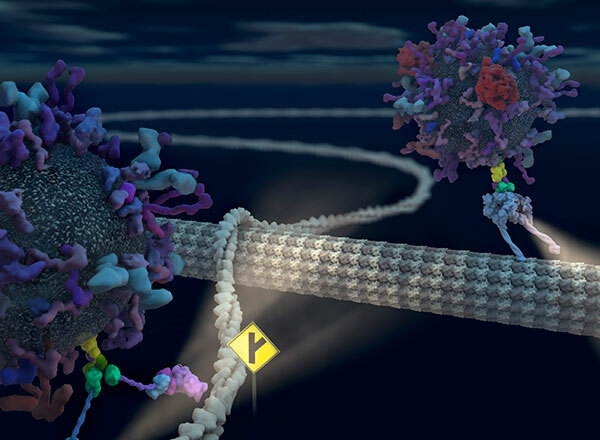 Graham gives lectures on both molecular graphics and protein docking to structural biology/biophysics graduate students, medical illustrators, and high school students.